Current e-commerce checkouts are not optimized for gifting. 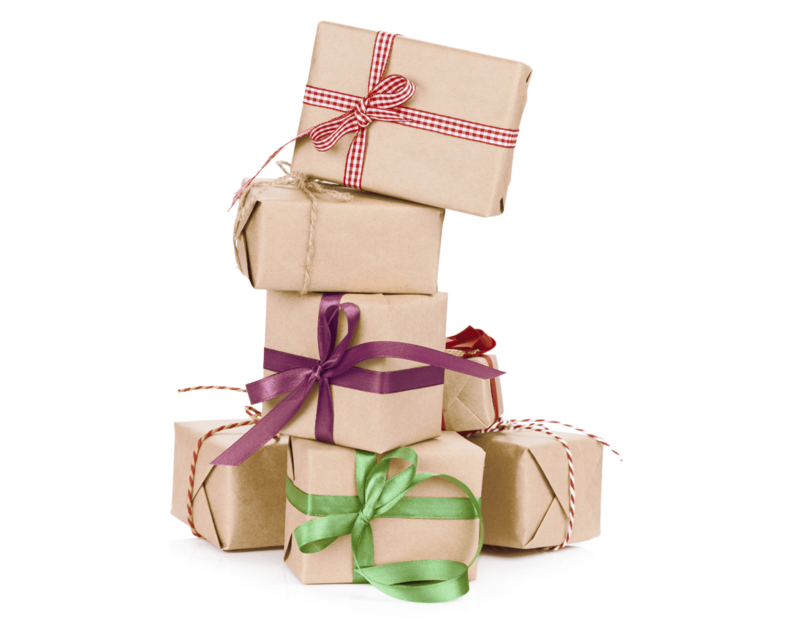 A gift sender is required to enter details and information that they are unfamiliar with, such as the recipient’s preferred size, color and shipping address. The vast majority of gift shoppers leave your site without completing the transaction. Our unique e-gifting solution eliminates those barriers, increases conversion and creates incremental sales. Gift cards offer the recipients the flexibility they are looking for. Over 86% of gift recipients say they would prefer to receive a gift card. On the other hand 90% of gift senders would prefer to send a real gift and consider a gift card to be impersonal and thoughtless. Jifiti’s e-gifting solution offers the best of both worlds. The gift sender can send any item as a thoughtful gift via email or mobile text. The recipient opens their gift online and easily use the gift credit towards the suggested gift or anything else if they prefer. Our gift analytics dashboard presents you with actionable data and valuable business insights on your gifting trends. Identify popular categories and gifted items, optimize gift conversion and act upon shopper interests. For the first time, you can follow real gifting data via our partner dashboards and understand the gift trends and interests. Eliminating the gifting barriers increase checkout completion substantially. 50% of gift recipients are new customers. Bring them back to your site when redeeming their gift to become new life-time customers. No more gift returns – the gift is shipped only after the recipient modifies or accepts it. 95% of gifts are a single item. 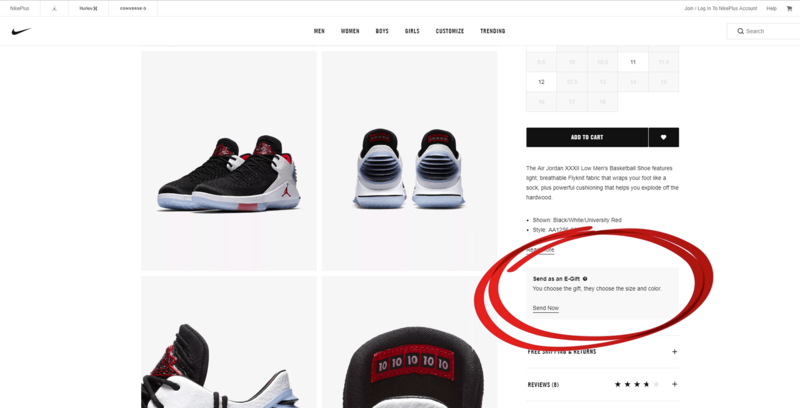 Boost conversion by skipping the cart and enabling quick gift checkout. The perfect solution for last minute gifts. The gift notification is delivered digitally, the recipient can accept or exchange their gift instantly. Shoppers can now checkout and send any item as a gift without knowing a shipping address or product details. The recipient makes those decisions prior to redemption. Seamless experience on desktop, mobile and in-store. Start testing within days. No long term commitments. The eGift flow and design is customized by us to perfectly match your brand. You never have to worry about a fraudulent transaction or chargeback with our 100% fraud prevention guarantee. Why do I need a dedicated checkout for gifts? Your current checkout is designed for shopping and not for gifting this means you’re losing out on sales every single day. We found that the gift checkout sees a 91% increase in users Average Order Value (AOV) compared to normal gift card value . Studies also show that shoppers do not complete gift purchases and drop from the checkout process because they don’t know the shipping address or the preferred product details (size, color, style, etc.) of their gift recipient. Our dedicated gift checkout provides a quick and easy gift checkout process and is built to solve all those problems that impact retailers. Retailers using our gift checkout see a 91% increase in AOV. How is this different from eGift cards? Studies show that over 90% of gift senders would prefer to send a thoughtful and personal gift, rather than sending cash or a gift card. Many times gift cards are considered impersonal and thoughtless and are sent as a second choice or last resort. With our gift checkout your shoppers can enjoy a real life personal gifting experience with thoughtful gifts, while benefiting from the ease, efficiency and flexibility gift cards provide. Do I have control over the placement of the gift checkout button? Yes. The system’s modular build is very flexible, giving you full control over the customization to fit your changing needs. You can choose to enable the gift checkout button anywhere on the product page and have full control on which product pages or categories display the gift checkout button. You can also have a dedicated gift section on your site with the eGift option. What if I don't have an existing gift card system in place? Not a problem! Jifiti has an internal patent pending eGift Card system that can be used to redeem gifts on any site, powered by our MasterCard partnership. Your digital, private labeled eGift Card will function like any other eGift Card and can be restricted to your store or e-commerce site. How does a gift checkout improve conversion? Is the look and feel of the gift checkout customizable? Is the Jifiti gift checkout secure? What kind of integration is needed to implement the gift checkout? Our dedicated gift checkout shows a 120% increase in the checkout success rate. One of the biggest challenges in completing a checkout process is decision-making. 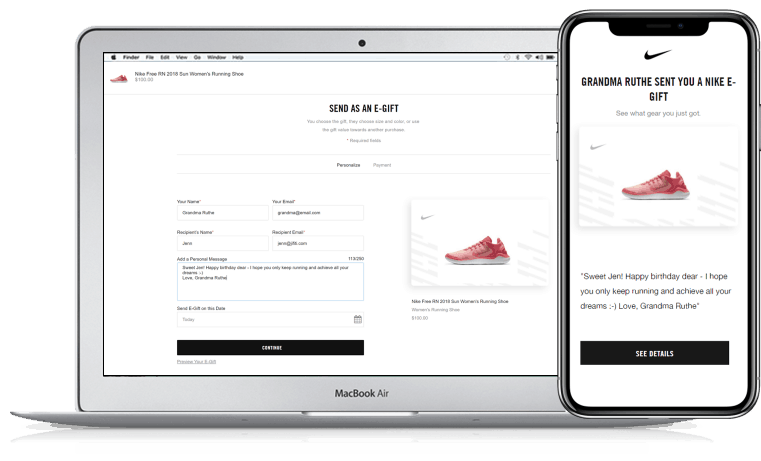 Jifiti’s gift checkout eliminates all decision-making on the gift sender’s end by allowing them to complete the checkout without having to know a shipping address or product details such as size, color or style. The recipient makes all those decisions before the gift ships. Our gift checkout is fully customizable and white-labeled for your brand. The end to end eGift experience is designed by our team to fit seamlessly in your site and user experience. Security is a top priority for us. Jifiti employs industry leading security measures such as Layer-7 Application control, secure web access (SSL/TLS Encryption) and encrypted data storage and transmission. It offers an SLA (Service Level Agreement) of 99.95% and is fully PCI DSS compliance. You can be live and running within days. Our tiered integration build enables you to launch and test with zero integration. The gift checkout is based solely on your gift card rails and allows the recipient to redeem their gift using a product-based gift card. We also offer an easy integration option with your product and inventory API allowing the recipient to modify the size and color of the gift directly in the gift link. How does the Gift Checkout work?